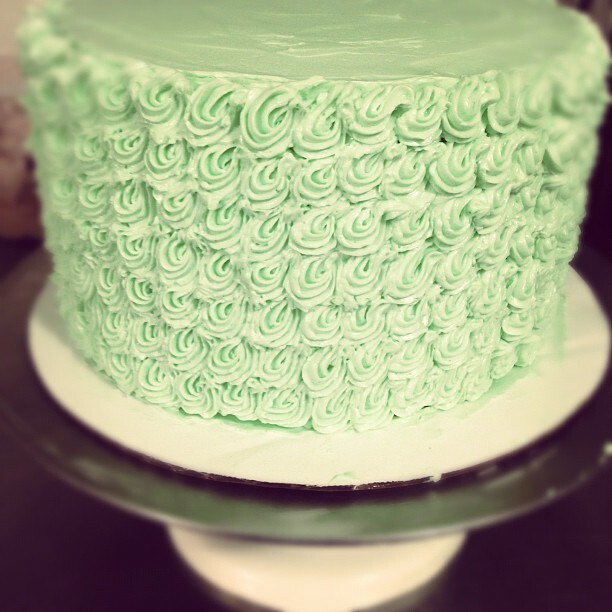 Melanie + Kevin's Buttermilk Cake with layers of Strawberry and Mint Buttercream, and frosted with Vanilla Buttercream. 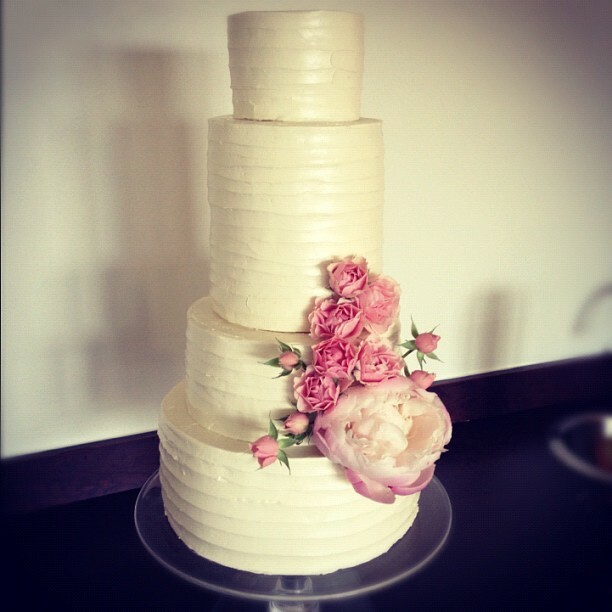 Love fresh blooms with buttercream cakes! 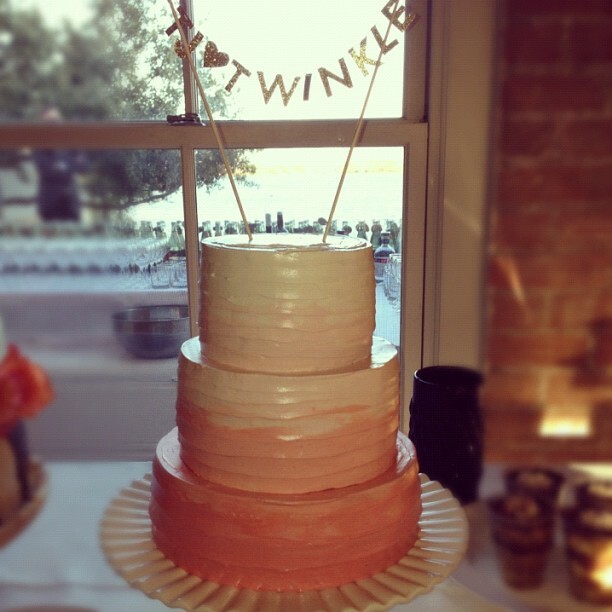 Twinkle + TJ's wedding was full of style! They wanted cakes that were both beautiful and a little playful. Hers was a buttermilk cake with layers of lemon curd, roasted strawberries, and strawberry buttercream, frosted in an ombre burnt sugar buttercream. His cake was dark chocolate espresso with layers of hazelnut ganache and espresso buttercream, with a dark chocolate ganache drip. 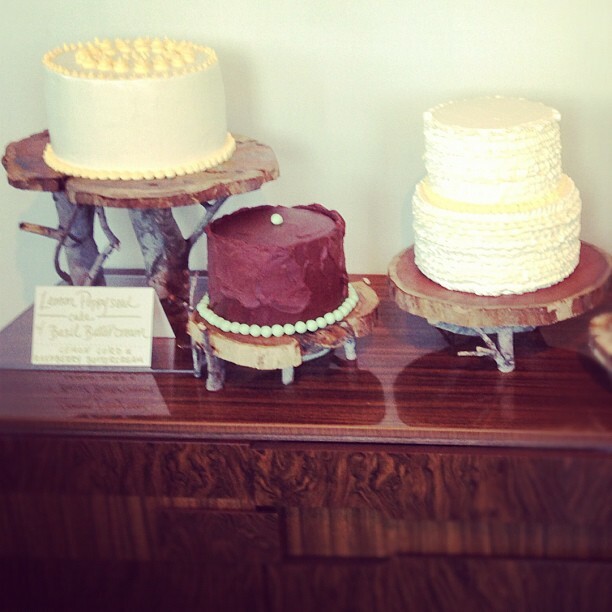 Don't you love this fun cake stand a la Anthropologie? We also put together a dessert bar full of twinkies and coconut macaroons - the pair's favorite sweets. Jayme + Mitch wanted something a little vintage and a non-traditional display that would showcase their unique design perspective. I love when brides opt for a table full of small cakes for a big wedding rather than towering designs; it just looks so lush and approachable. She wanted fresh, bright flavors and wasn't scared of something a little different - lemon poppy cake with raspberry buttercream and basil buttercream. 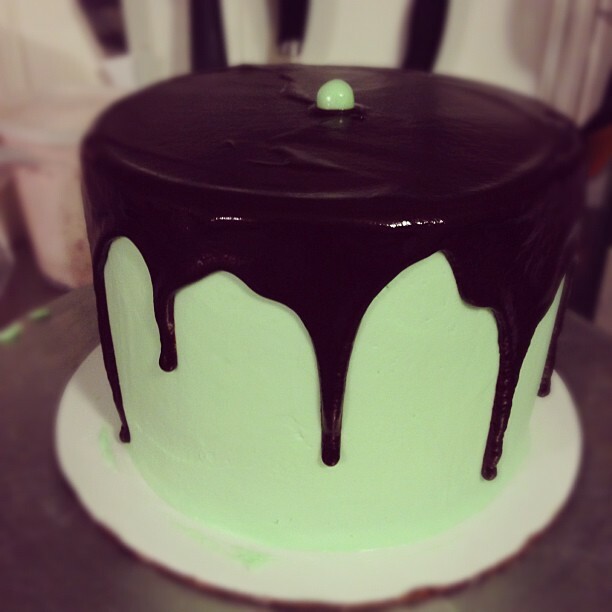 His cakes celebrated one of his favorite flavor combinations: mint and chocolate! 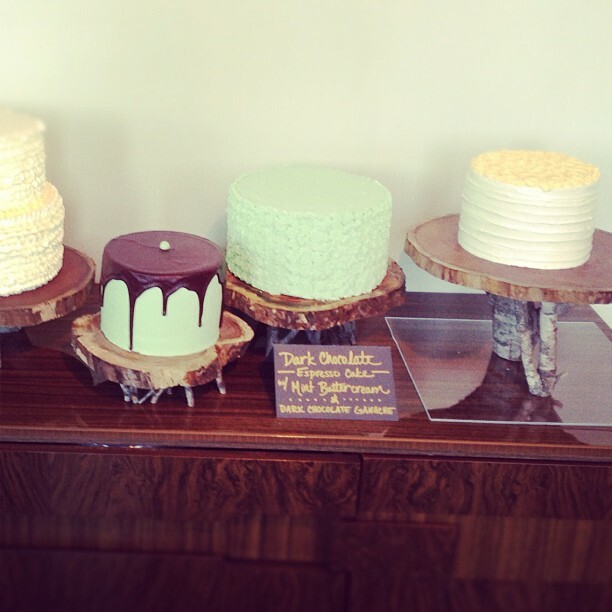 We made dark chocolate cakes, layered with our fresh mint buttercream (no artificial flavors here!) and topped a few with dark chocolate ganache. Natalie and Nic, a chef and an artist, lived in New York before landing in Dallas, and Natalie wanted a cake inspired by her favorite NYC bakery - Momofuku! Christina Tosi is so inspiring, so I was more than excited to put together a cake in her honor. 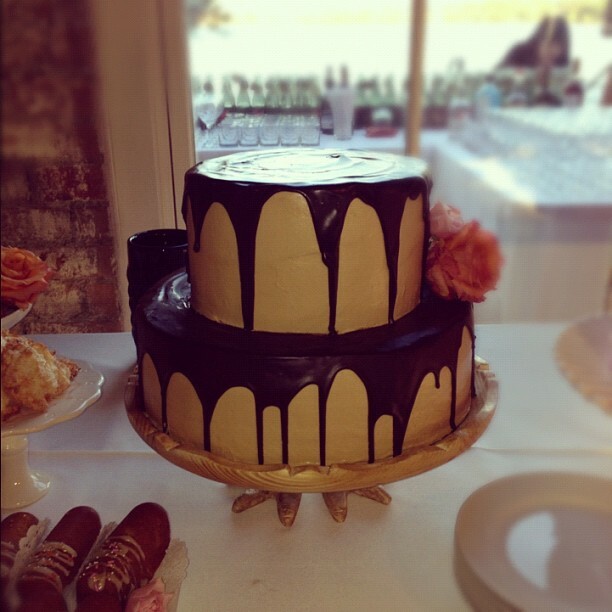 Flavor ruled this cake - and guests could choose their favorite flavor amongst the three tiers to try. So fun. 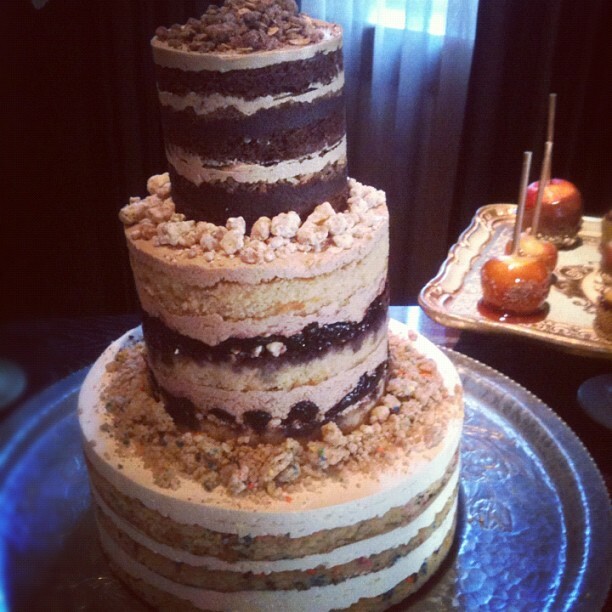 The top tier is a Mexican chocolate cake with espresso buttercream and cinnamon streusel; the middle tier is a bourbon cake with dark cherry compote, graham cracker buttercream, and milk crumb; the bottom tier is a confetti cake with vanilla bean buttercream and confetti cake crumble.